1. 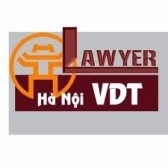 This Decree provides the registration and management of development assistance and humanitarian aid activities not for profit or other purposes of foreign non-governmental organizations in Vietnam. 2. This Decree applies to non-governmental organizations, non-profit organizations, social funds, private funds or other social or non-profit organizations, which arc established under foreign laws and carry out development assistance and humanitarian aid activities not for profit or other purposes in Vietnam. 1. Foreign -non-governmental organization means an organization specified in Clause 2, Article 1 of this Decree. 2. Humanitarian and development activities mean activities to support development and provide humanitarian aids not for profit or other proposes. 3. Program means a combination of related activities and projects which may involve one or more than one sector, domain, territory and stakeholder for achievement of one or more than one set objective, are implemented for a relatively long period or in different phases and funded by different sources in different times and with different modes. 4. Project means a combination of related activities which aim to achieve one or more than one set objective and are implemented in specific localities and periods and funded by specific sources. 5. Non-project aid means an aid not under a program or project which is provided in kind, cash or specialists (including voluntary specialists) for humanitarian or development purposes.